Optional Single Supplement: $1070 USD (number of singles limited). Across the sun-drenched Iberian Peninsula are two countries with a soul and history that go hand in hand. 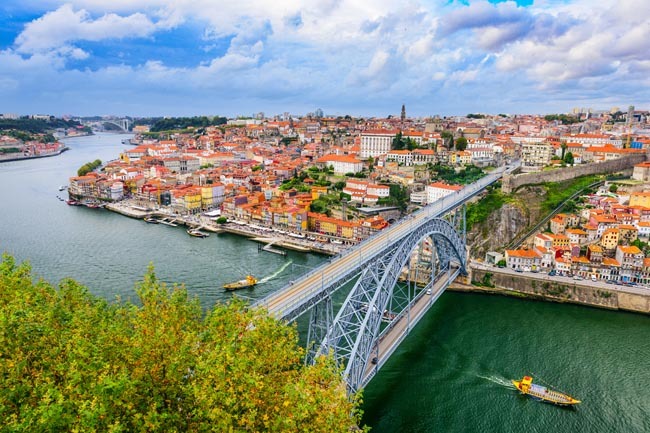 Our Northern Spain and Portugal tours span the many cultures that have thrived in these two countries, from before the Moors' arrival in 711 AD to well after the Golden Age of Discovery that saw these two empires emerge on a world stage. It is a culture-rich region, where around every corner is a reminder of the vast wealth and incredible charms that have been born here. 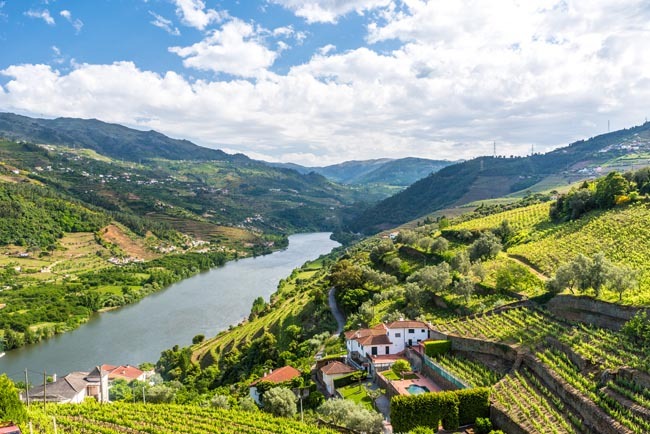 Far more than just a destination for port wine in the Douro Valley, Portugal is a land that has a varied landscape and an abundance of culture that far out numbers its small land size. Within the compact borders are medieval castles and stately palaces as well as an inconceivable amount of churches and monasteries. 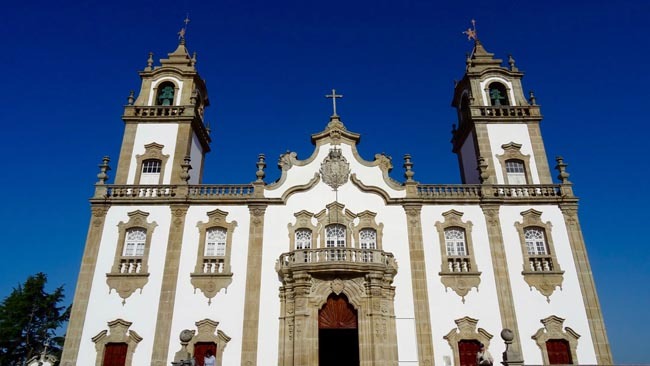 In the tiny town of Braga, over 300 churches have been erected, making this the religious centre of Portugal with more churches per capita than anywhere else in the world. 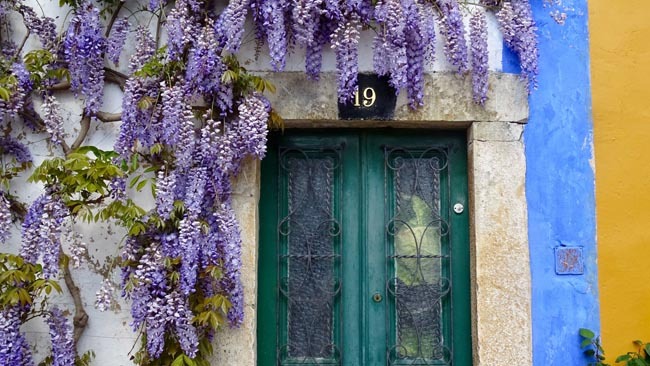 Strolls along the old cobblestone streets, like that of the flower filled alleys in Urgencia or among the sounds of Fado that echo from the restaurants that line the hilly Alfama district in Lisbon, are a photographer's and traveller's dream. 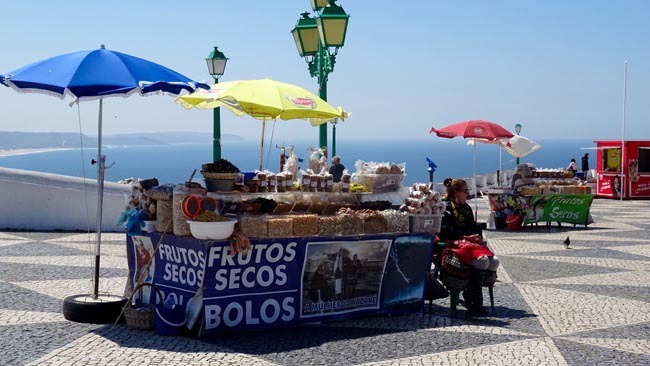 Everyday life is filled with old-world wonders, from the intricate old city quarters to the small, serene fishing villages lining the Atlantic. 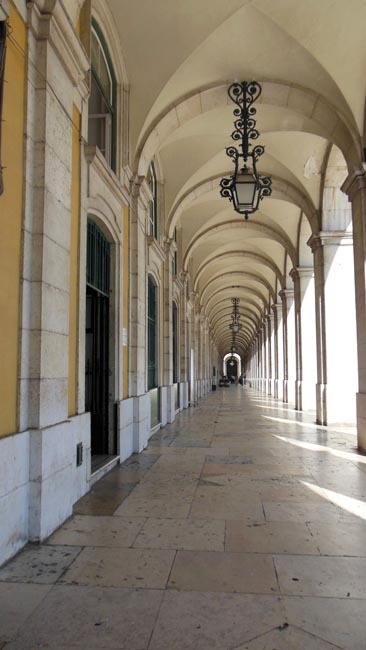 With all its beauty, it's hard to imagine how the sailors must have felt as they pulled anchor and set sail away from the Manueline architecture buildings of Jeronimos Monastery or Belem Tour in Lisbon. From Brazil in the Americas to Macau in Asia and much of Africa in between, the Portuguese left their mark in the world and in their museums have many of the spoils from their colonization. Another super power in maritime exploration, Spain has a culture that can be sampled in tapas or in their vibrant city centres across the nation. While our journey begins at the end of the line on a spiritual pilgrimage to Santiago de Compostela, it is only the beginning of impressive cathedrals we'll discover on our Spain and Portugal tours. 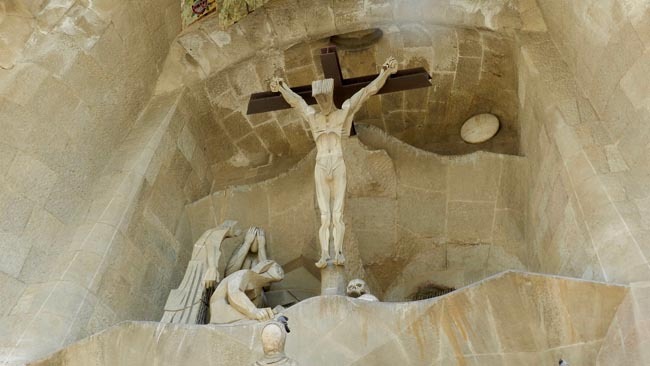 From the Romanesque churches of Leon to the unique La Sagrada Familia of Barcelona, each is unique and offers an insight into the artistic flavour of the time. 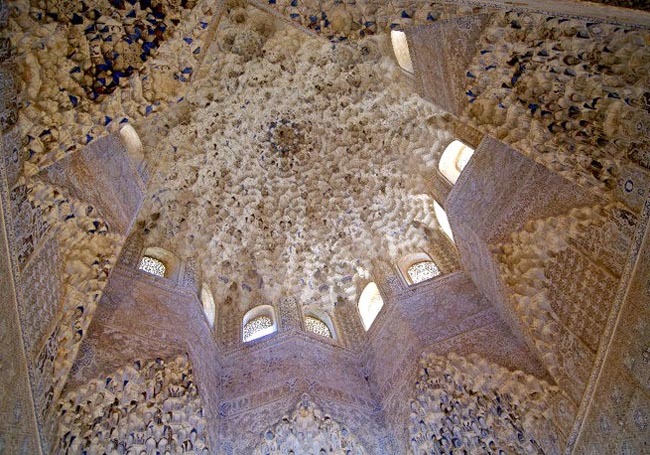 Arts still play a dominant role in displaying the Spanish brilliance. 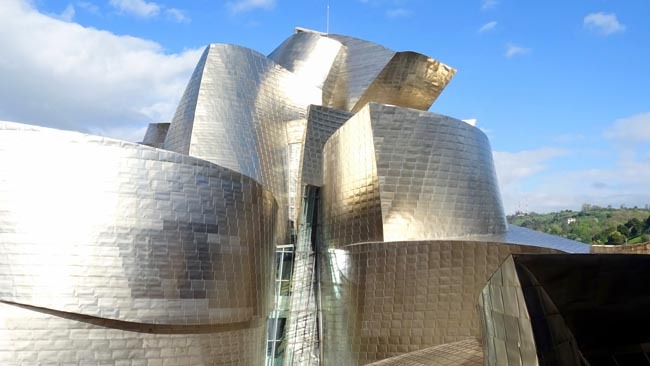 One of the world's most wonderful collections is found at the Prado in Madrid, while a visit to the masterpiece of engineering and design at the Guggenheim in Bilbao is also a must. For those who love the living arts, witness a dance with as much passion as the people themselves, the Flamenco, while we visit the south of Spain. Mealtimes are always a pleasure on our Spain and Portugal tours. 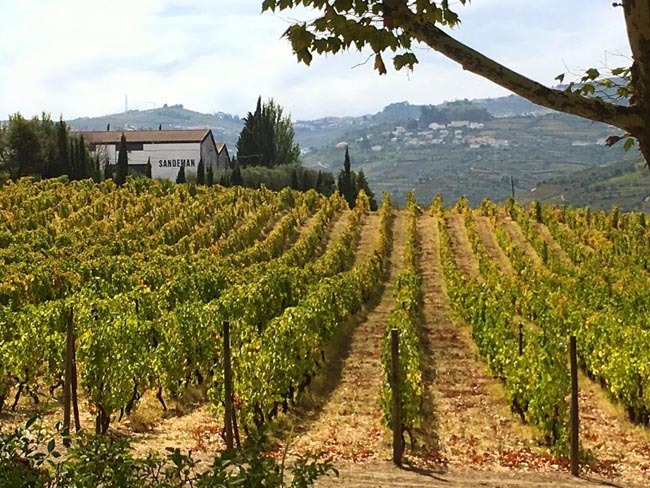 From the delicious vinho to the tasty tapas, we dine in local establishments to better discover the diversity found in Iberia. For those who love culture and history by experiencing the traditions still in place in locations fit for royalty, Spain and Portugal tours are definitely the perfect travel choice. 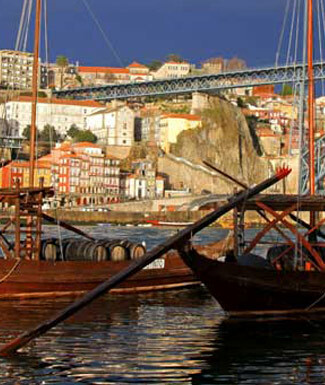 Portugal and Spain was our 3rd Adventures Abroad tour. I first heard of the company when googling trips to Switzerland and the National Geographic claimed Adventures Abroad was an excellent small group tour company. I would agree wholeheartedly! Obidos was a beautiful quaint village. In Santiago de Compostela, we especially loved the extensive guided Cathedral roofs tour. Bilbao was gorgeous, from the quaint old town to the White Bridge to the magnificent Guggenheim museum. The Altamira museum was very interesting along with the Picasso museum in Barcelona. The buses were comfortable, very roomy and in very good condition. Our single train ride was comfortable and followed schedule. Our flight was an efficient way to get to Barcelona. We had the perfect tour leader, a true natural! He took his job seriously and yet was able to maintain a light-hearted banter with the group. He had a way of making us feel comfortable right from the get-go, allowing us to approach him whenever needed. We found the breakfasts were phenomenal, outdoing any hotel breakfasts we had experienced in the past. I think it is a toss-up on an Adventures Abroad Tour as to what I love the most...the sights or the fellow travellers. I am always in awe of the type of adventurer your tours attract, namely open-minded, knowledge-seeking, enthusiastic individuals! 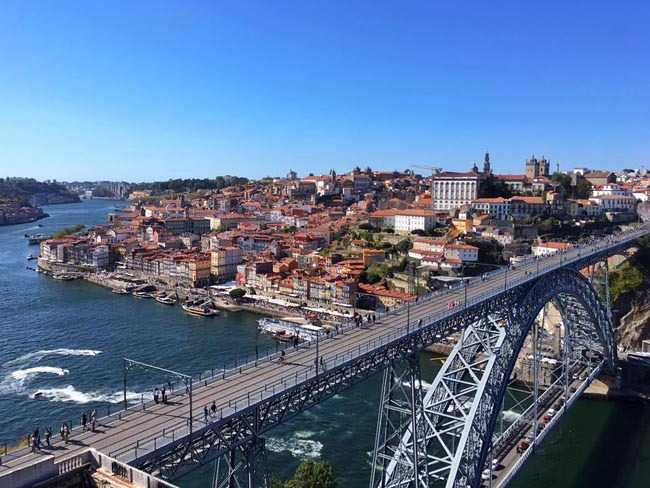 I enjoyed Lisbon, Obidos, Nazare-very good Coimbra-excellent, Douro Valley, Porto, Braga, Guimaraes-excellent local guide. Good transportation. The food surpassed my expectations-very interesting restaurants, excellent meals showing the variety of what the country offers. Chris, our tour leader, was always there for you, helpful, service with a smile! No matter what the question was he was there for you. I.E.-helping me at the ATM. Everything was always explained in detail. Obviously my impression is good otherwise I would not have taken so many trips with you. Today we arrive in Lisbon. 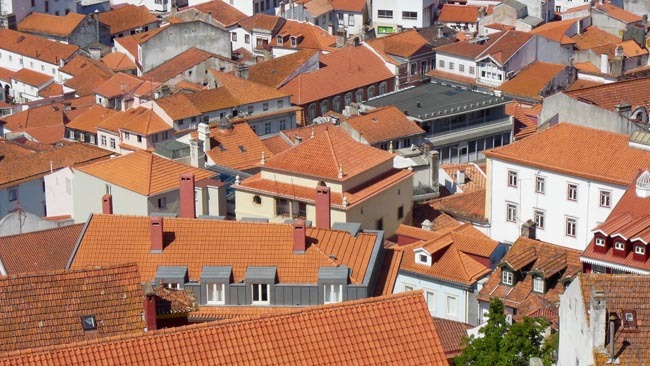 Today we visit Braga, a city famous for its churches, last count surpassing 300! As the religious centre of Portugal, Braga boasts the highest number of churches per capita in Christendom. The strategic location has always made it ripe for occupation and development. The Goidelic Celts, also known as the Bracari, are believed to have founded the city and given it a name several thousand years ago. The Romans occupied it in 250 BC and made it the hub of five major roads, all leading to Rome. Through them Christianity and the first Bishops of Braga eventually came. The Suevians over ran the city in AD 409, but were replaced in 485 by Visigoth invaders, who, in turn, were vanquished in 711 by a Moorish army. For more than three centuries, the Christians and the Moors jousted over Braga, until the Muslims were finally expelled at the end of the 11th century. 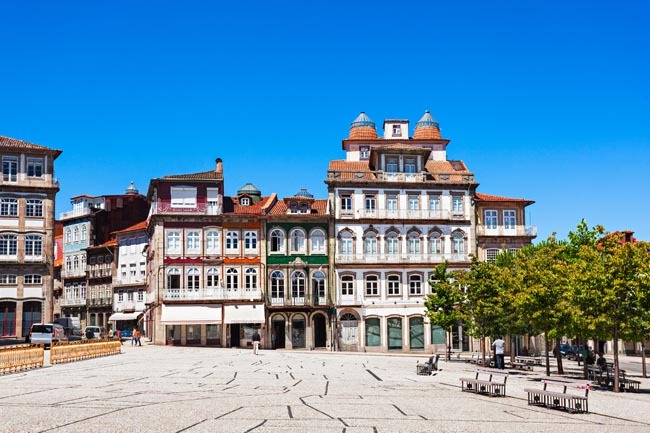 In the old quarter of Braga, you can explore the ornate Renaissance and Manueline palaces, baroque churches, and narrow medieval streets. 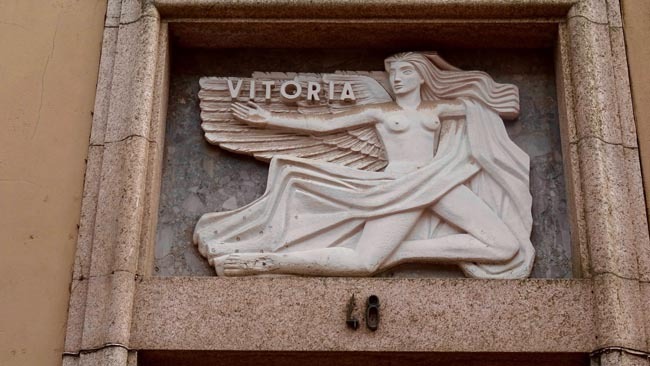 After lunch we proceed to Guimaraes, birthplace of Portugal's first king and for 2012, European Capital of Culture. 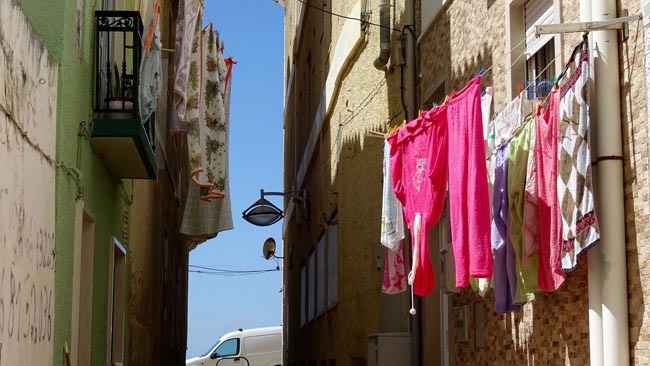 In this charming town (a UNESCO site) we offer a walking tour of the old mediaeval quarter. 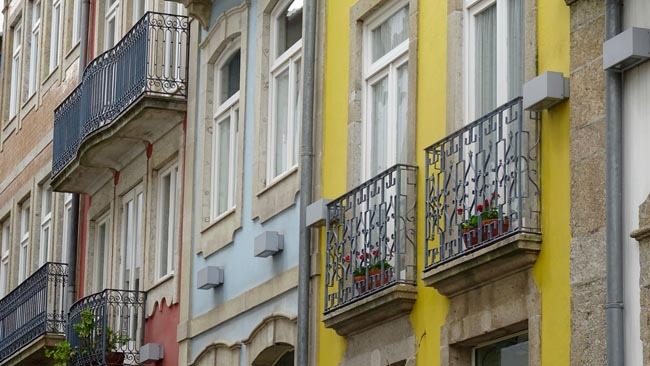 We begin in the Largo da Oliveira, with its varying styles of architecture. As we walk through the Old Quarter, notice the window boxes with fresh, colourful spring flowers. On our walk you will see workshops, bakeries, stores, and the like operating like time has never passed. Today we travel by road to Santiago de Compostela. 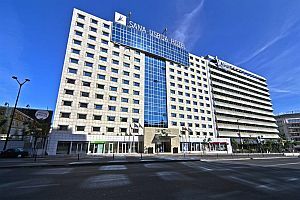 Built of golden granite, Santiago is one of the most beautiful of all Spanish cities. The medieval city has been declared in its entirety a national monument, and remains remarkably integrated, all the better for being almost completely pedestrianized. The buildings and the squares, the long stone arcades and the statues, are hewn from the same granite blocks and blend imperceptibly one with the other, often making it impossible to distinguish ground level from raised terrace. En route we make a stop in Baiona, one of the most important coastal towns in Galicia because of its harbour and fishing fleet. The caravel Pinta landed here on her arrival back in Europe from Columbus's "discovery" of America. 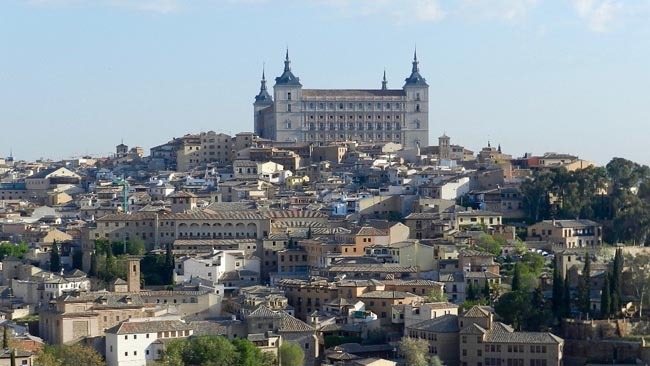 You'll have some time for enjoying a coffee or some Spanish tapas as well as local shopping. Depending on our time of arrival, we may accomplish some of our sightseeing today after we check in to our hotel. Overnight in Santiago de Compostela. This morning we have a walking city tour of Santiago, a UNESCO World Heritage city. 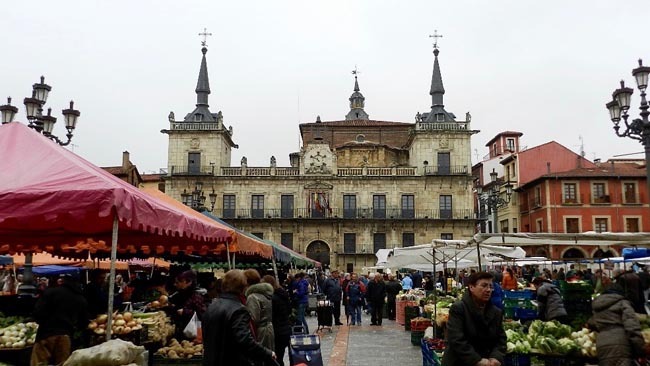 Our tour begins at Obradoiro Square where some of its more prominent monuments can be seen: the Archbishop's residence which preserves some 12th century lounges; the Town Hall, former Raxoy Palace, with its classical facade; the San Jeronimo College, whose facade shows Roman influences. We also include the city's famous cathedral, a truly grand building adorned with many statues of St James in his familiar pilgrim guise with staff, broad-brimmed hat, and scallop-shell badge. 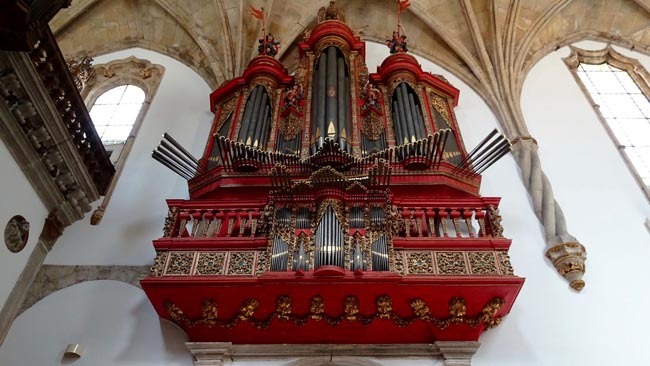 We also visit the Cathedral Museum, the Cloister and finally, the Platerias Gate, the only Romanesque one that is still preserved; and we take a guided tour of the Cathedral roofs,* which allows us to climb to the very top of the building and look out over the historic centre from the heights. To do so we make for the Gelmirez Palace, located to the side of the Cathedral in the Plaza del Obradoiro square. We pass through the interior of the Gelmirez Palace, past the Cathedral gallery (above the Gloria doorway) and up to the roof of the cathedral. * Impending maintenance on the roof has been announced starting from late winter 2018, and it is unclear as to how long a closure may last. Please be advised that this element may not be possible if the roof tour is unavailable for your chosen departure. On arrival in Leon we visit the San Isidoro Collegiate Church, an important piece of western Romanesque, where 23 kings and queens are buried. The cathedral was built in the middle of the 13th century in a gothic style similar to the French cathedrals and is famous for the beauty of more than 100 glazed windows. Our Leon sightseeing continues with the old quarter of the city, which conserves a large part of the medieval wall and some remains of the original Roman wall. 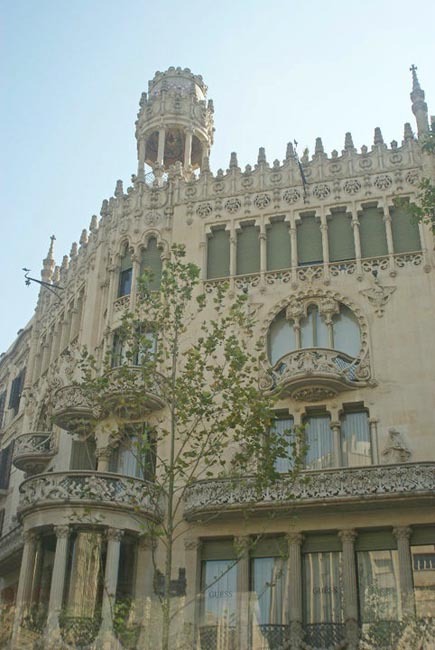 One can also find the Casa de Botines, a neo-gothic building and an excellent example of the architecture of Antoni Gaudi. * NOTE: We use the rail system quite extensively on this tour (except tours ES1 qnd PS2, which feature only ONE rail journey). YOU MUST BE ABLE TO MANAGE YOUR OWN BAGS ONTO / OFF TRAINS AND IN TRAIN STATIONS. Packing lightly is essential. 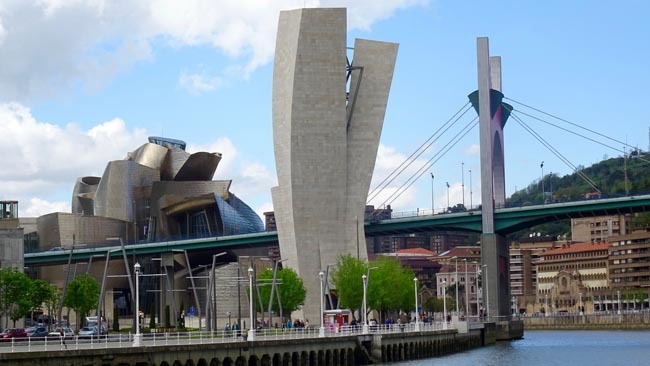 Today we travel by road to Bilbao, via a stop at the museum connected with the Cave of Altamira. Dating from 12000 BC, the caves are full of prehistoric paintings of wild animals and impressions of human hands. When discovered in the 1870s the vivid and evocative paintings were nearly perfectly-preserved. 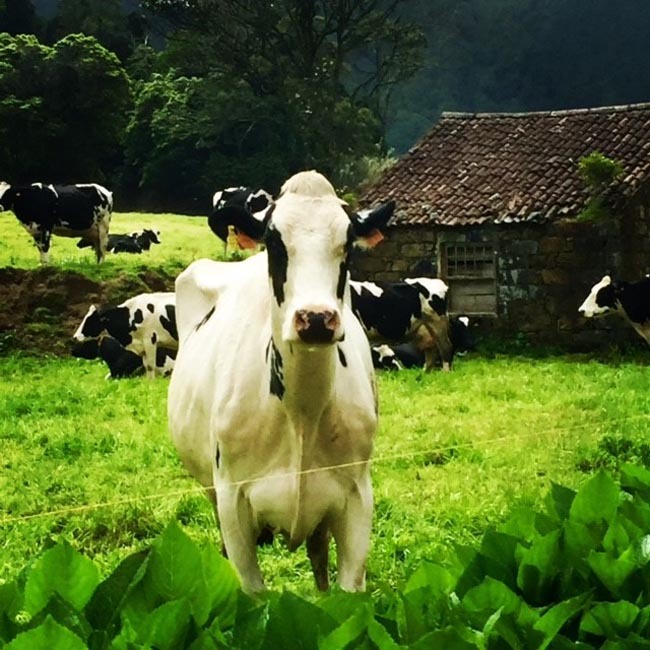 Even Picasso commented on the paintings here: "After Altamira, everything is decadence." (We will be visting a museum and a replica of the cave paintings; the actual cave has been closed to visitors in the interest of conservation). We continue deeper into Basque country and toward Bilbao, tucked into the deep lush folds and clefts of Euskadi's coastal range. The name is "Bilbo" in Basque, but its inhabitants prefer to call it the "botxo," Basque for hole, or orifice. The orifice was originally a scattering of fish hamlets, huddled on the left bank where the hills offered some protection from the Normans and other pirates. 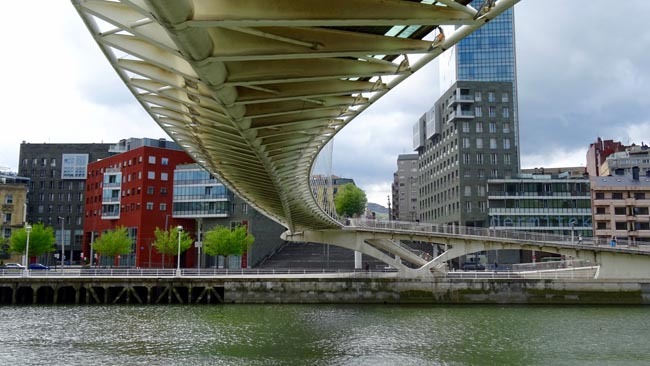 Today we explore the Old Town of Bilbao on a walking tour. We travel back in time to Medieval Bilbao with its cobbled streets, charming corners and squares, and trace its development through the centuries. The major highlight today is our visit to the newest and biggest attraction in Bilbao, the Guggenheim Museum. The 31 329 sq m (349,000 sq foot) colossus is one of the focal points of a $1.5 billion redevelopment plan for the city. The Frank Gehry design features a 50 m- (165 foot-) high atrium, more than one-and-a-half times the height of the rotunda of Frank Lloyd Wright's Guggenheim Museum in New York. The museum is devoted to American and European art of the 20th century, featuring (on rotation) the works of such renowned artists as Kandinsky, Mondrian, Picasso, Ernst, Pollock, Lichtenstein, Oldenburg, Serra, and others. 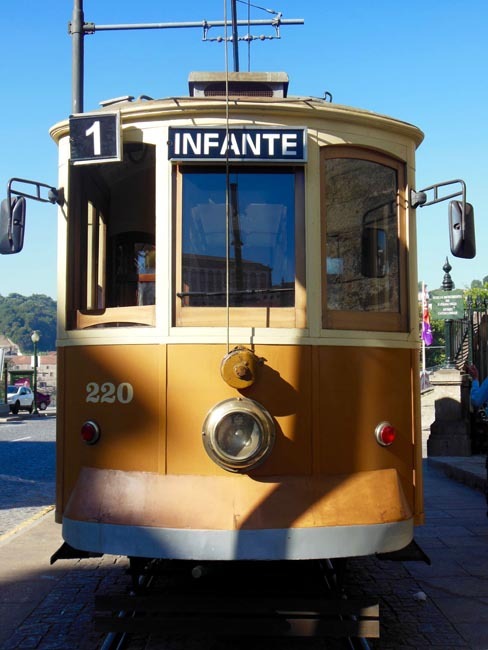 Options for your free afternoon include: remain at the Guggenheim on your own, the Basque Museum, Fine Arts Museum, a guided boat tour of the estuary, or local bus trip to San Sebastian (+/- 1:20) etc. Your Tour Leader can help you plan your afternoon. Today we fly to Barcelona. 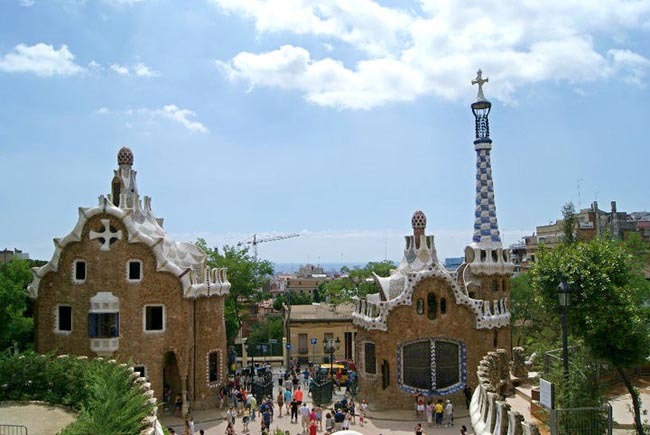 Barcelona, located on the Mediterranean Sea in the very north of the Spanish coast, is certainly the most cosmopolitan and economically active city in this country. 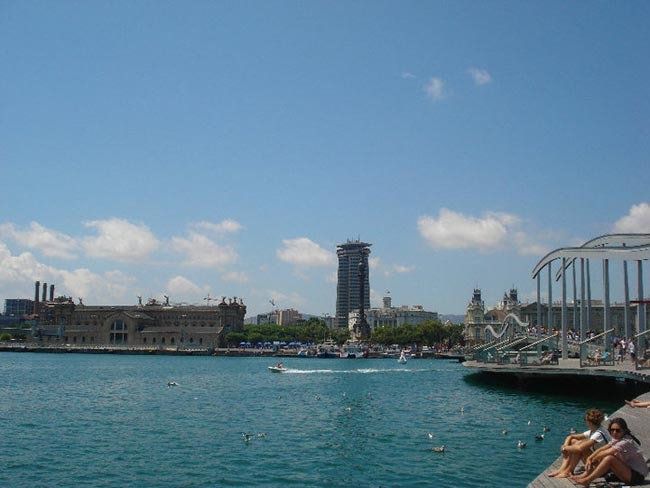 Of course, Barcelona has an long history, and there are monuments of Romanesque, Gothic and Renaissance periods and before, but most characteristic is what has been built during the last 100 years. We are aiming for the morning flight so that we might embark on the guided portion of our Barcelona sightseeing upon arrival (mostly on foot - leisurely pace). Our first stop is Parc Guell, a beautiful place in the morning. 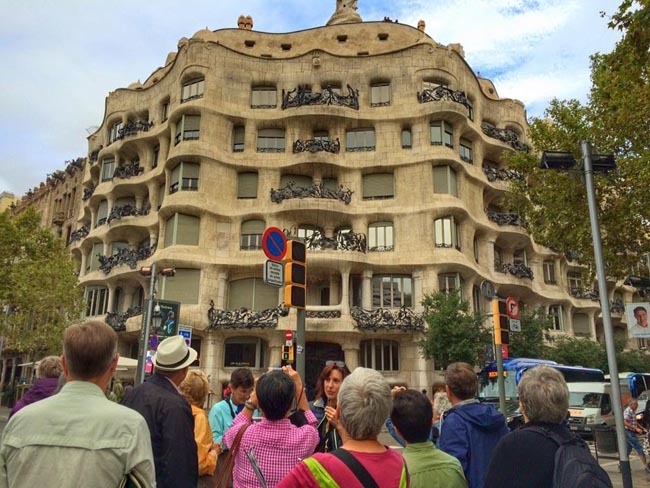 We have time to visit the Casa Gaudi with its collection of Gaudi-designed furniture. We'll walk through the Parc, ending up at the main entrance to visit the terrace and pavilion unit and Doric columns. 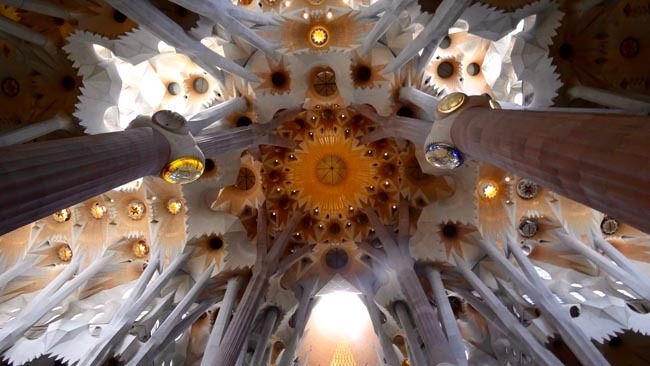 This morning we travel by bus to Barcelona's most famous and most photographed attraction -- La Sagrada Familia Cathedral (Cathedral of the Holy Family), an amalgam of fantasy and Gothic impulses, and Gaudi's most unique piece of architecture. Our bus stops on the side of the Nativity facade (north) from where we walk around to the Passion facade. We explore the interior and also visit the cathedral museum during our stop. At some point during our time in Barcelona, we will also visit the Picasso Museum. We also stroll down the avenue of Las Ramblas, the exotic "spine of Barcelona," with a stop to look at Palau Guell, another Gaudi creation. 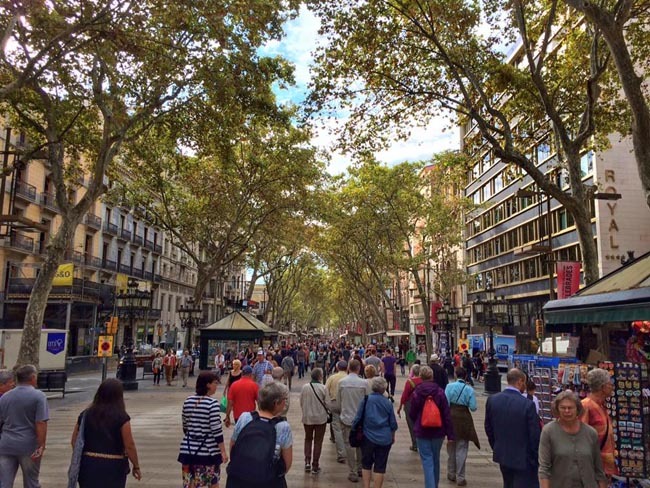 We continue to Placa Catalunya and Placa Reial via the central market, Bequiria; a very lively place, crowded with stalls selling caged birds and lush plants and the constant clamor of people haggling and selling. We then walk into Barri Gotic, a densely-packed area of narrow lanes with a fascinating mixture of medieval and stately Renaissance buildings. 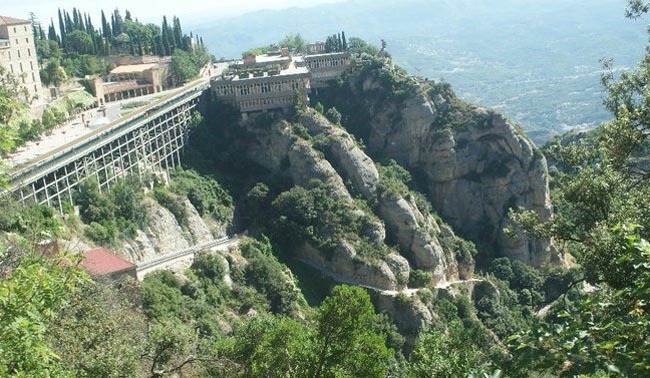 This morning we include a half-day guided tour of , one of Spain's most sacred sites, set in beautiful mountains about 1 hour's drive from Barcelona. Long before we reach Montserrat, we will see the jagged silhouette of the great peak, and understand how it got its name ('serrat' means 'serrated). This massive rock fortress is dotted with paths, stairs, caves, chapels and hermitages. 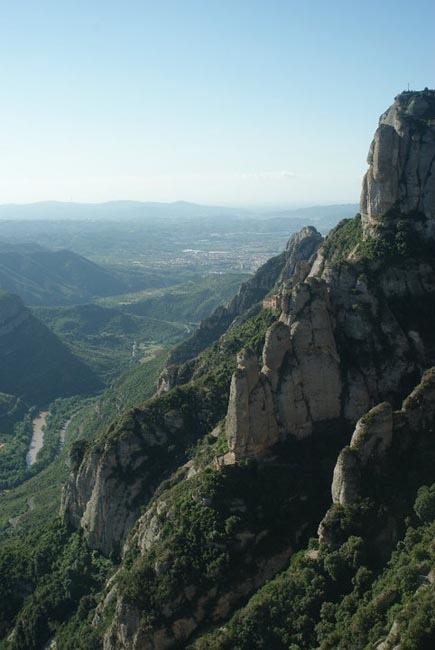 We drive through the Montserrat Natural Park and up to the Sanctuary, around 725m (2,380 feet) above sea level. On a clear day you will see breath-taking panoramas of the Pyrenees. 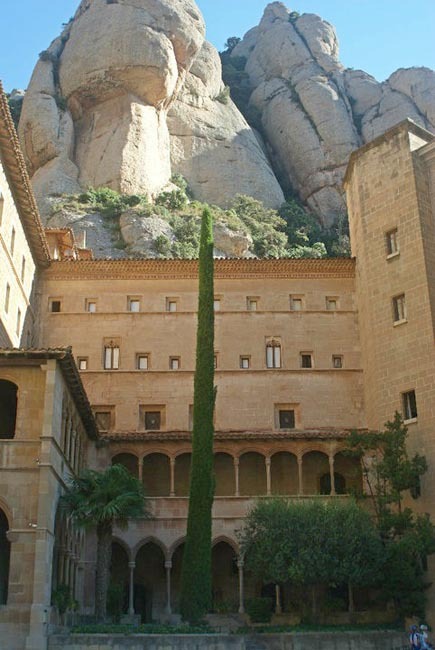 We will arrive at the Sanctuary, where we can visit the Royal Basilica and the Chapel of Our Lady of Montserrat. Inside the Chapel is the famous 12th century Romanesque carved wood statue of La Moreneta (the Black Virgin). 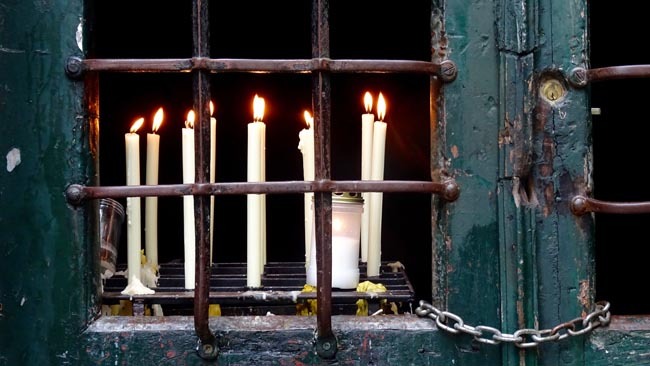 La Moreneta is the patron saint of Catalonia, and is a presence strongly felt and revered. 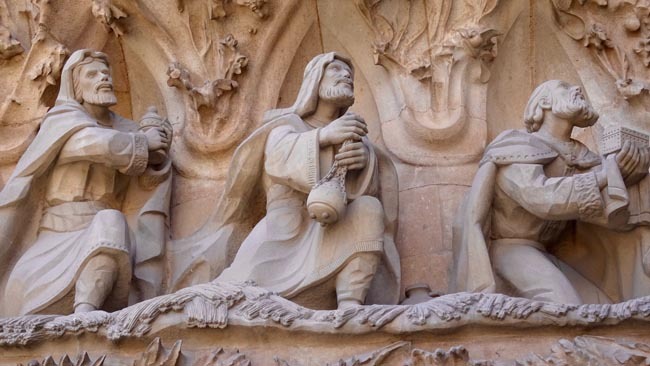 This celebrated statue has made The Royal Basilica one of the most important pilgrimage sites in Spain. The tour also includes entrance to an interesting audiovisual exhibition ("Montserrat Portes Endins"), and the chance to taste four locally-produced liquors. We return to Barcelona with time at leisure. 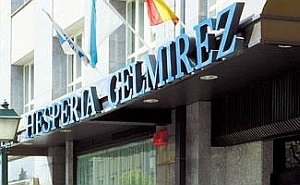 This cozy hotel is situated in the heart of Santiago de Compostela, near the railway station and just 10 km ...	the airport. 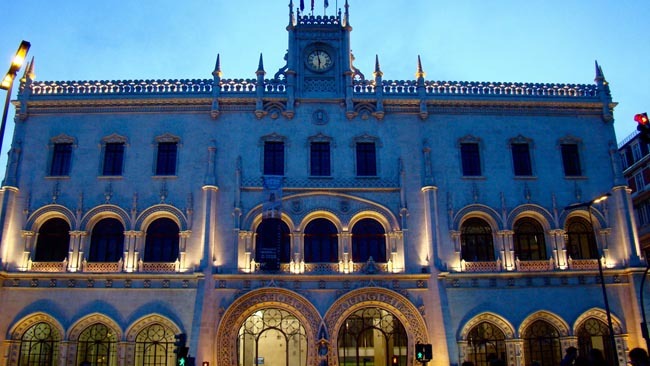 An ideal base from which to tour the splendid historical and cultural features of the city. 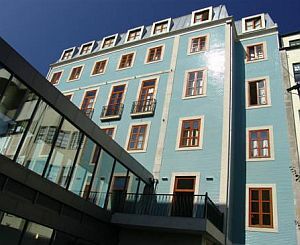 The hotel boasts 138 fully-equipped rooms with heating, telephone, television and satellite TV. 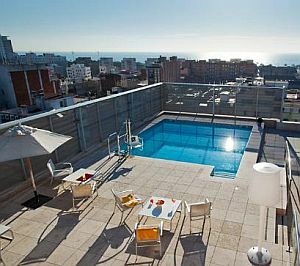 The Ilunion Auditori is a modern property boasting an unbeatable location right in the centre of Barcelona. Among features, guests ...	find comfortable and elegantly-appointed accommodations, a bar, a pool bar and a restaurant. Sport lovers can also avail of the outdoor swimming pool and the gym to do a bit of exercise. Breakfast and dinner (hotels & local restaurants) daily. 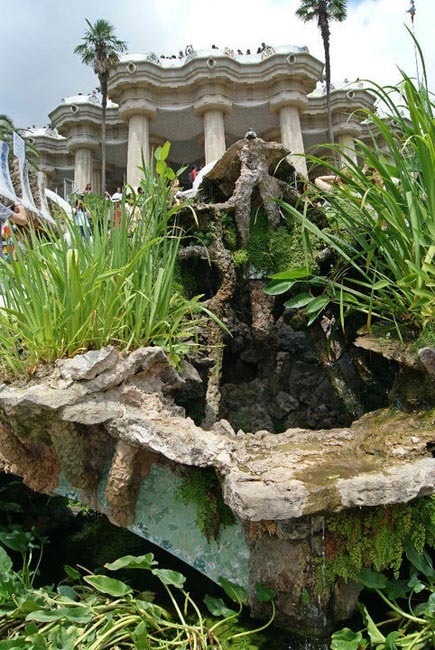 All sightseeing and entrance fees for sites noted as 'visited' in the detailed itinerary. Gratuities for local guides, drivers, restaurant staff, porters. Airport transfers for land & air customers arriving / departing on tour dates. 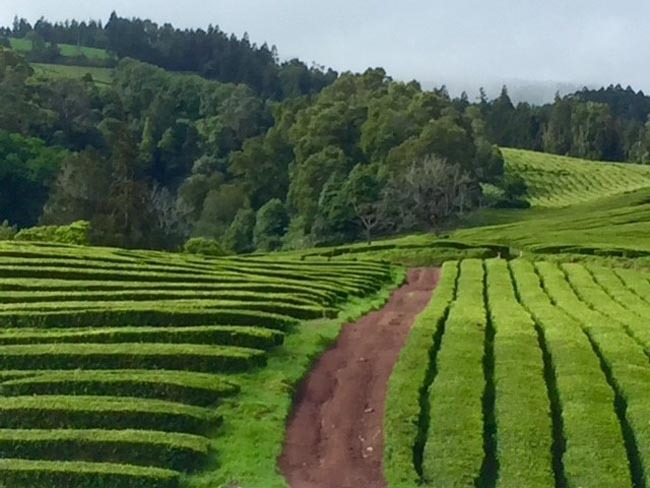 This tour is offered in spring, summer, and fall the most popular of which are spring and fall when temperatures are milder and crowds thinner. Spring is also popular for green landscapes. Showers are possible in spring, unlikely in summer, and possible in fall. Land transport throughout by private air-conditioned motor coach, 24-36 seats depending on ultimate group size (see 'group size'). Though we will have some full bus days there are plenty of stops of interest. Train journeys are comfortable (2nd class). Roads are in good condition though winding on some stretches. Well-located, air- conditioned, mid-range hotels (3 star) throughout. All hotels have en suite bath, though some may have shower only. Porter service is not likely-you should be independent with your luggage. Single rooms are limited and likely smaller than twins.